The compelling debut album of dynamic and powerful Luciferian Black Metal. 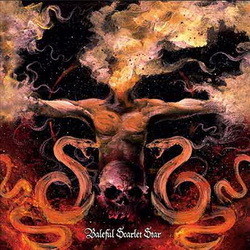 This remarkable solo work by Nihilifer (singer of Erebus Enthroned), expands upon and surpasses Ignis Gehenna’s former forays in musical composition in terms of complexity, atmospheric subtlety and lyrical craftsmanship. The music is powerful, melodic and inspiring; igniting the dark recesses of imagination to conjure potent visual imagery and enticing the mind and soul to explore hidden facets of the human specter. Nihilifer is known for penning lyrics which are thought provoking, intelligent and filled with metaphor; an invitation to the human psyche to uncover the hidden realms of mind and existence.